In India, access to credit is crucial for lifting people out of poverty and offering them stability and a chance to thrive. Gowri Mukherjee, Rajasundaram Sudarshan, and Ranjit Punja spent years working in the financial sector before they came together to establish CreditMantri, one of our portfolio companies in India. They saw firsthand the challenges that many people face in accessing credit, and they also saw the opportunities that technology presented to transform the industry and provide everyone with high-quality financial tools. These three co-founders share what inspired them to launch an inclusive fintech startup, and what keeps them going even on the hard days. Gowri co-founded CreditMantri to help people learn about their credit scores and improve their financial health. 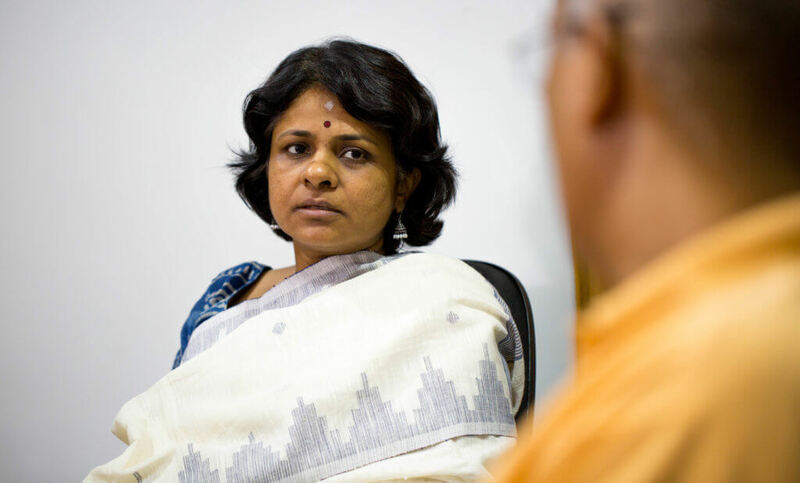 “Seeing that many lack awareness of even what a credit report looks like, I felt there was a huge opportunity to make a difference,” says Gowri. CreditMantri uses an automated web platform and call center to help consumers easily access their credit reports, understand their credit scores, improve their creditworthiness, restructure outstanding debt, and get access to relevant products and services from lenders and financial institutions. With this accessible approach, CreditMantri has been able to serve more than 5 million customers. “For me, the most rewarding thing has been the number of users who’ve actually understood where they stand in terms of their credit profile,” says Gowri. What’s it like co-founding a fintech startup? “The downs tend to be horrible, and the ups tend to be truly amazing,” says Ranjit. While being an entrepreneur isn’t always easy, CreditMantri’s mission makes even the tough days worth the effort for Ranjit. His decades of experience in the financial sector opened his eyes to the challenges customers face when trying to access funding. If someone has little to no formal history, or if they’ve made a credit mistake in their past, they can get locked out of the financial system and all of the opportunities that come with having access to high-quality financial tools. 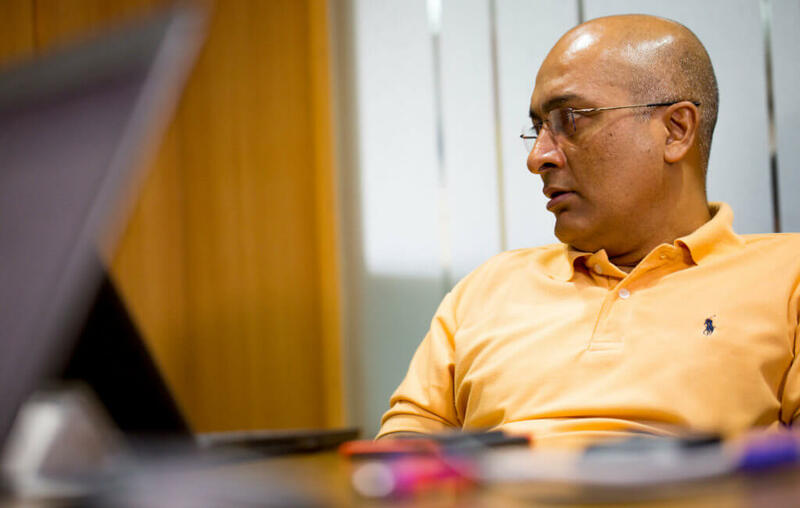 At CreditMantri, Ranjit’s team strives to “help as many customers as we can as quickly as we can,” he says. By using an online platform, they’re able to reach customers all over the country. They can then quickly profile people and give them the right products tailored to their needs and abilities to manage credit. This efficiency helps them reach enough people so they can make a real impact in serving the tens of millions in India who’ve been financially excluded for too long. While he was working in a previous job in credit collections, it became clear to Sudarshan that customers shouldn’t be perpetually punished for one mistake. 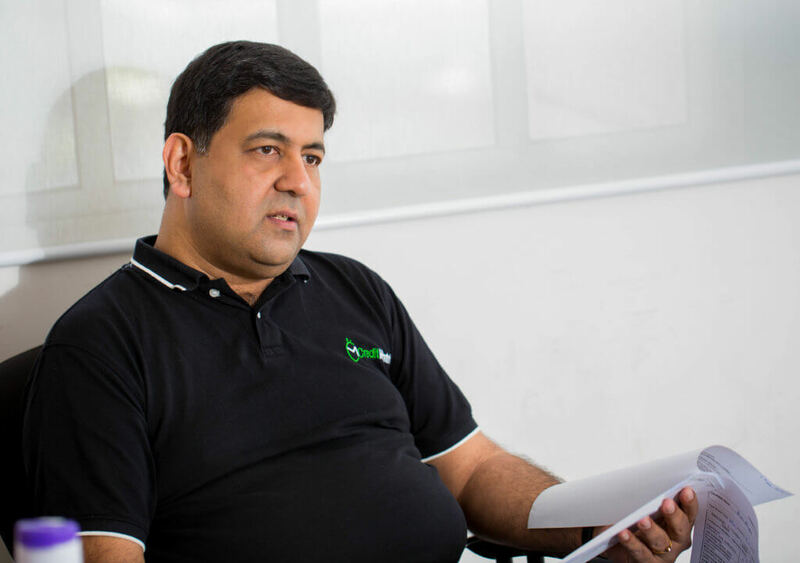 “Every customer has a story — a reason why he had a credit challenge,” says Sudarshan. He thought that fintech could help provide a path back to good credit for these customers, so he co-founded CreditMantri. “The world is going digital — with mobile increasing by the day — and so is India,” Sudarshan explains. “Technology is going to lead the way in doing what we’re doing now.” He’s proud of what CreditMantri has accomplished so far in getting customers to understand their credit scores, take control of their finances, and learn to rebound from a bad credit history. “The journey has just begun,” he says. Now CreditMantri is ready to scale and reach more people, putting people on the path to better credit and giving a second chance to many in need.